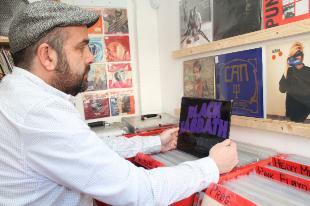 We’re an independent record shop, specialising in new and used vinyl, with a twist… we’re located in the owners back garden. We started trading online in 2013. 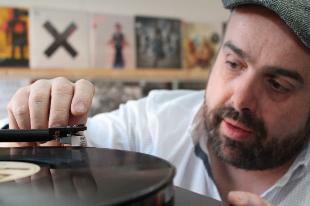 It took half an hour to realise that the tactile nature of records required a bricks and mortar shop. The search for a shop began. We headed out with ambition and dreams. Came home home deflated. Rent Vs Reality, well that’s a home win. Options were limited, but we had an ace up our sleeve. We had a small workshop in the garden that had never been fully utilised. It was home to lawn mowers, kids bikes and broken toys. About the size we needed though… Inspired by Shed of the Year and George Clarke’s Small Spaces we swung into action. Electricity. Insulation. Alarms. Racks. Sign. 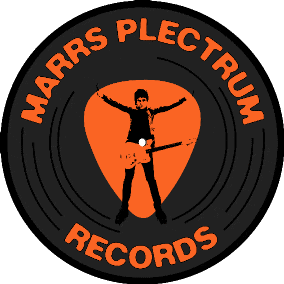 Marrs Plectrum Records was a reality. With the tag line of “the UK’s smallest Record Shop” this novel approach started to get us publicity. We got featured on ITV local news, in the NME, Mix-Mag, Fact Magazine, local radio. The reaction was incredible and I’m so thankful to all those people who supported us. We got our 15 minutes. We opened in October 2014. On opening day, we were so busy that I had to stand outside to make way for customers! A great day for us. 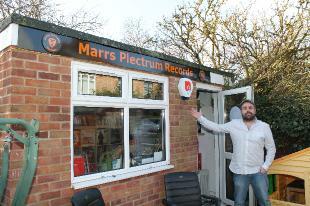 A couple of year previous I was in my 25th year at the Land Registry drawing Ordnance Survey Maps, now I had a record shop, full of music lovers, in my back garden. 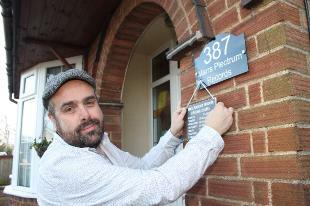 We're based at 387 Fulbridge Road, Peterborough, PE4 6SF. The shop is at the back of the house so please ring the doorbell. We'd love to hear from you good people. You can email us at matt@marrsplectrum.co.uk, call us on 07884 357021 and pop round and say hello. Photo's on this page by Jonathan Craymer.